[S1635] 1900 Edgecomb Co., N.C. Census. [S179] Unknown volume, Vance Co., N.C. Death Certificate: death certificate for Charlie Banister Hughes, Register of Deeds Vance Co., NC Courthouse. [S522] The Daily Dispatch, 15 Apr 2005. [S392] Maria P. Faulkner, New Sandy Creek Baptist Church Cemetery, page 30. Marriage*: Ida Madolian Hughes married Charles Henry Catlett on 6 July 1946 at Henderson, Vance Co., NC. 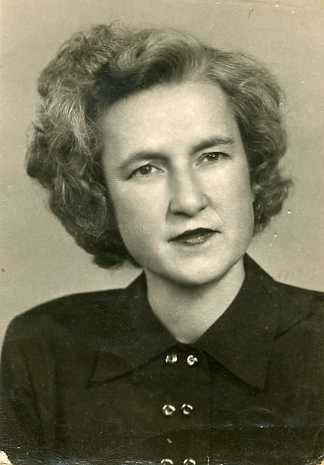 Birth*: Laura Ethel Hughes was born on 20 August 1909 at Greenville, Pitt Co., NC. [S658] Unknown author, Beaufort County, NC Cemeteries Book 1, pg 20. Death*: Earl Ambrose Humphrey died on 23 October 1998 at age 93 .